Target 1 Plant-Type monster you control; equip this card to that target. It gains 500 ATK. 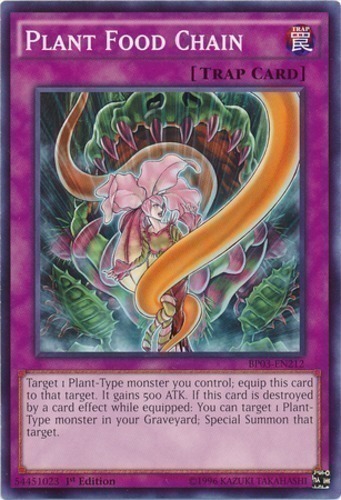 If this card is destroyed by a card effect while equipped: You can target 1 Plant-Type monster in your Graveyard; Special Summon that target.